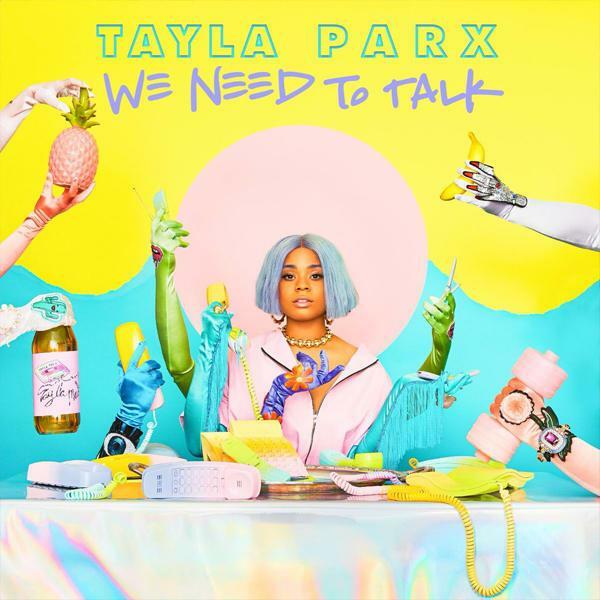 Tayla Parx & Joey Bada$$ Connect On "Rebound"
Home>New Songs>Tayla Parx Songs> Tayla Parx & Joey Bada$$ Connect On "Rebound"
Joey Bada$$ joins Tayla Parx on "Rebound." This weekend marked the arrival of Tayla Parx's We Need To Talk debut and the overall output has been a well0crafted body of work that introduces us to a talent that has remained in the shadows for far too long. The project proves to be a fruitful mix of superior songwriting skill and earworm-worthy creations, and it's best exemplified with select "Rebound," featuring Joey Bada$$. The cut is a detailed account of Tayla being used as a rebound in a fateless relationship, making use of clever basketball references throughout the lyrics to deliver on a catchy outing that, much like the majority of the track list, will likely persist throughout the Spring/Summer season. You'll find the carefree delivery bleeding into Joey's own cameo as he declares: "Said she need a ring, I told her please don't get her hopes up/You know I'm a player, baby, I might double cross you." Take a full listen below. SONGS Tayla Parx & Joey Bada$$ Connect On "Rebound"